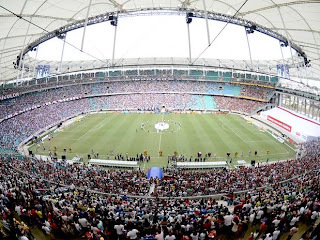 The inauguration of the awaited Fonte Nova (which literally translated means "New Source") stadium in Salvador welcomed big singers and artists from Salvador including Ivete Sangalo, Claudia Leite, and Margareth Menezes. 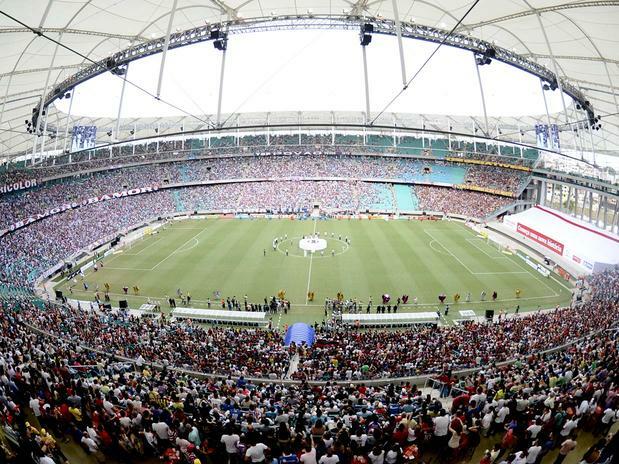 It also hosted the first game between the two rival teams of Salvador -- Bahia and Victória (Victória won with a landslide 5-1 victory, pleasing many fans and certainly causing brawls amongst rivals). 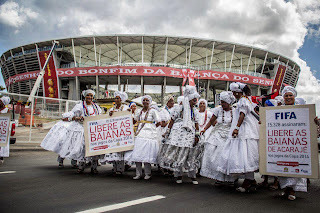 Despite the presence of these famous singers, soccer stars, and president Dilma herself, the inauguration on the morning of Friday 4/5 attracted another significant sector of the people of Salvador, the bahianas of acarajé. 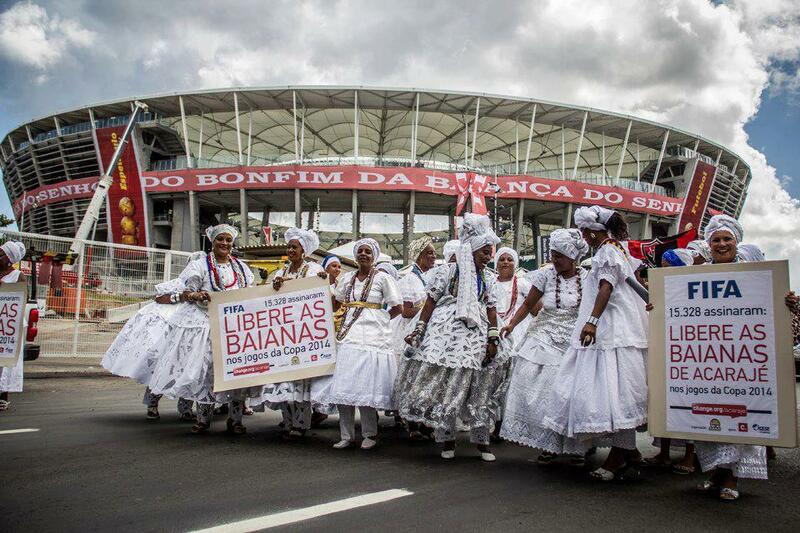 In a protest against FIFA's prohibition of the sale of their traditional afro-brazilian food, alternative news sources noted that about 50 bahianas protested at the gates of the newly completed Fonte Nova stadium. They marched with signs demanding their rights and freedom to sell their food and take advantage of the influx of foreign visitors and investments for the Confederation and World Cups. The bahianas have created a petition and their association, ABAM (Associação de Bahianas de Acarajé e Mingau), is fighting against FIFA to secure their spot as benefactors of the World Cup. I have visited the ABAM office in Pelourinho, Salvador and am scheduled to have an interview in the coming weeks regarding their struggle and their opinions on this World Cup development in Brazil. I find this story to be fascinating and highly relevant, so I am pursuing it as a sort of side interest to my main research. Stay tuned for updates!